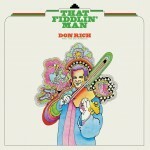 Buck Owens had hits before teaming with Don Rich, but together they led the Buckaroos to unparalleled commercial and artistic success. Owens first met Rich in Tacoma, Washington, where the latter grew up playing fiddle and the former was taking a break from his Capitol Records contract. Rich gigged with Owens around town and on local television, and after a stint in college, joined him in the studio for 1959’s “Above and Beyond” and “Excuse Me (I Think I’ve Got a Heartache).” Rich switched to acoustic guitar for 1961’s B-side “Mirror, Mirror on the Wall” and electric lead for 1963’s “Act Naturally.” The latter was perhaps not coincidentally Owens’ first #1, and the first in an uninterrupted string of fifteen chart toppers. Owens and Rich equipped themselves with sparkling Telecasters (tuned down a half step to reduce string breakage and get a fatter tone) and Fender Twin Reverb amps, and with the bass and drums given more prominence, the Bakersfield Sound was born. 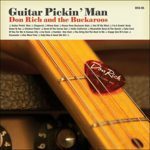 Music poured out of the Buckaroos at an incredible rate, filling albums and the singles charts, and spilling over from Buck Owens’ albums into a dozen albums led by Rich. 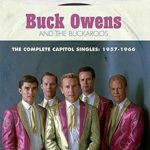 It’s from this torrent of creativity that Omnivore has cherry-picked eighteen tracks, three from Buck Owens albums, fourteen from Buckaroos’ albums, and a previously unreleased version of “Guitar Pickin’ Man,” recorded for the Hee Haw television program. 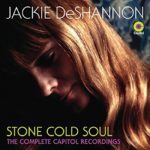 The selections favor vocal tracks, though Rich’s guitar playing is highlighted both here and on a sprinkling of instrumentals. 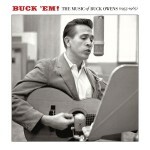 Among the latter is the stuttering lead of “Chicken Pickin’,” the western atmosphere of “Meanwhile Back at the Ranch,” and the genre-bending “Bossa Nova Buckaroo Style.” Rich’s vocals weren’t as sorrowful as Owens’, though he strikes a similar tone for Bonnie and Buck Owens’ “Number One Heel,” and recalls Owens’ own double-tracking on “You Bring Out the Best in Me.” Rich wrote a lot of the Buckaroos’ material, often working with Red Simpson and other co-writers when not covering catalog material from Owens and Merle Haggard. 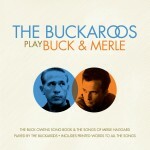 Ominvore’s two-fer combines two instrumental albums that bookmarked the Buckaroos’ solo recording career. 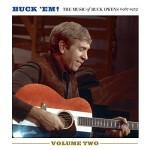 The Buck Owens Songbook was originally issued in 1965, and features a dozen twangy Bakersfield-sound instrumental covers of songs written by (or in the case of “Act Naturally,” closely associated with) Buck Owens. This classic lineup of the Buckaroos included Don Rich, Tom Brumley, Willie Cantu, Doyle Holly (playing guitar instead of bass) and Bob Morris (playing bass), and their guitar-led arrangements are tight and clean. 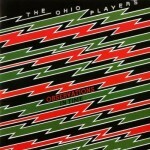 But without Owens out front pulling them along, the playing remains a bit sedate, perhaps – as the original liner notes and included lyrics sheet suggest – for singing along. 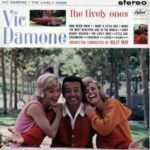 It’s a nice curio, but no substitute for either the original hits or some of the Buckaroos more adventurous instrumentals.